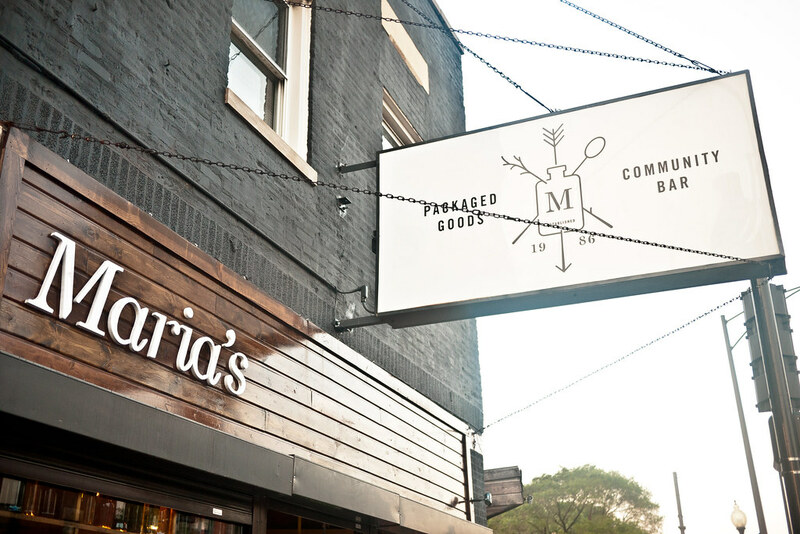 Ed Marszewski of Maria’s Packaged Goods and Community Bar in Chicago’s Bridgeport neighborhood is quickly shifting the gravity of Chicago’s craft beer scene a little south. 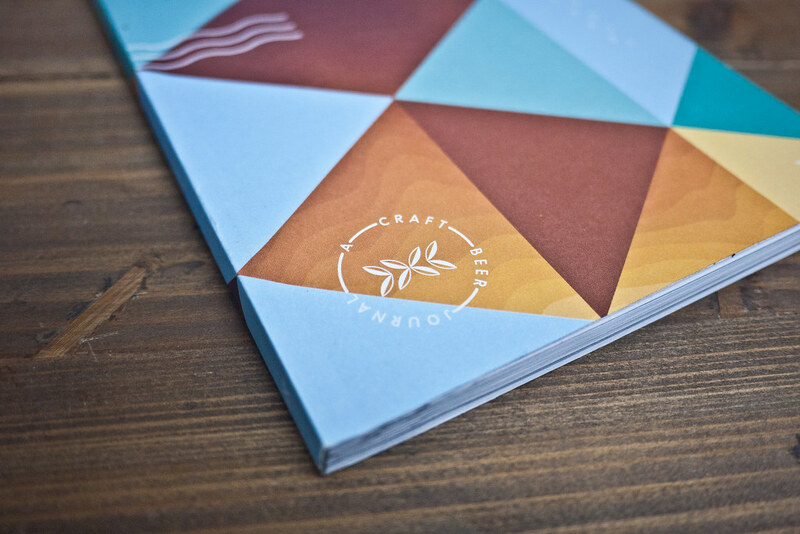 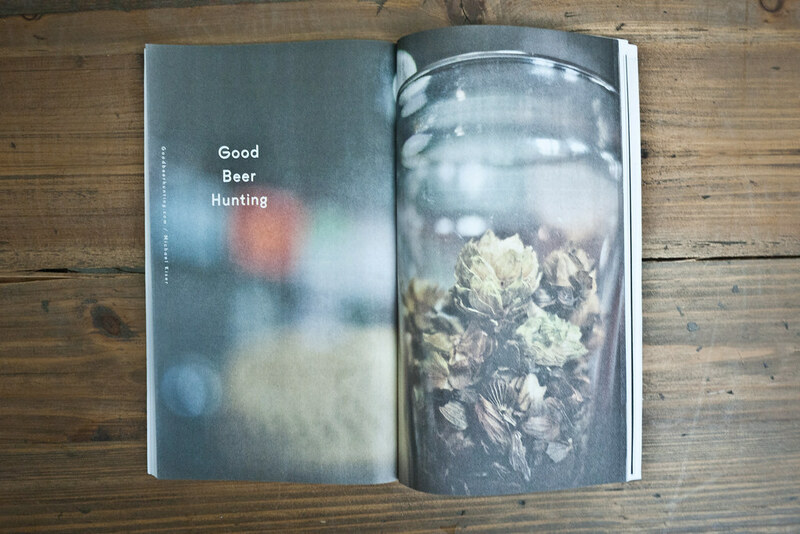 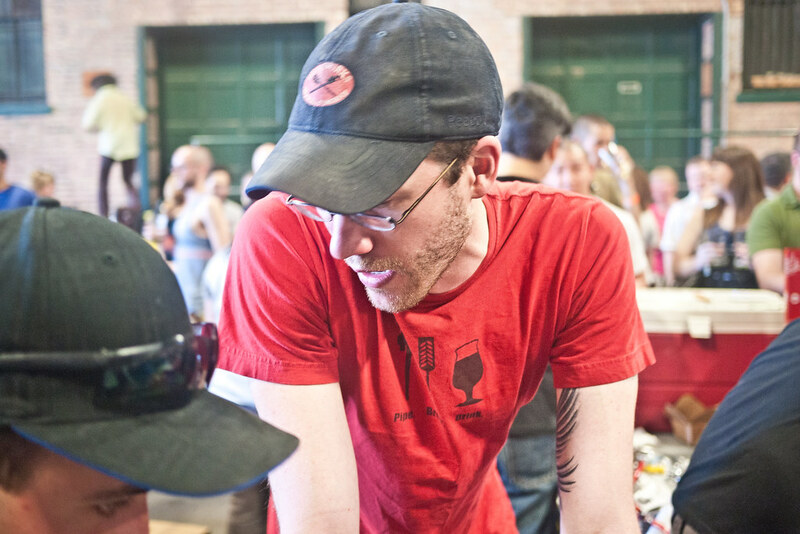 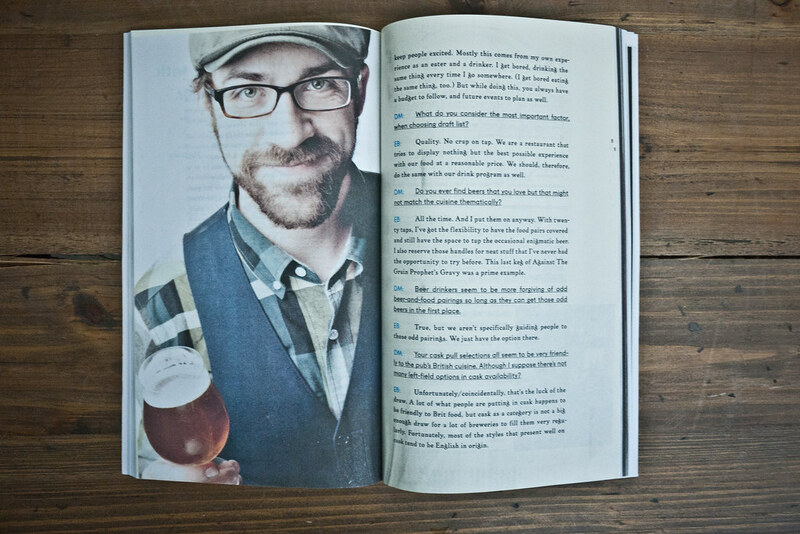 As if the eclectic mix of rare and exceptional craft handles weren’t enough, Ed decided to use his considerable talent at producing magazines and festivals to establish a new craft beer journal in Chicago — Mash Tun. 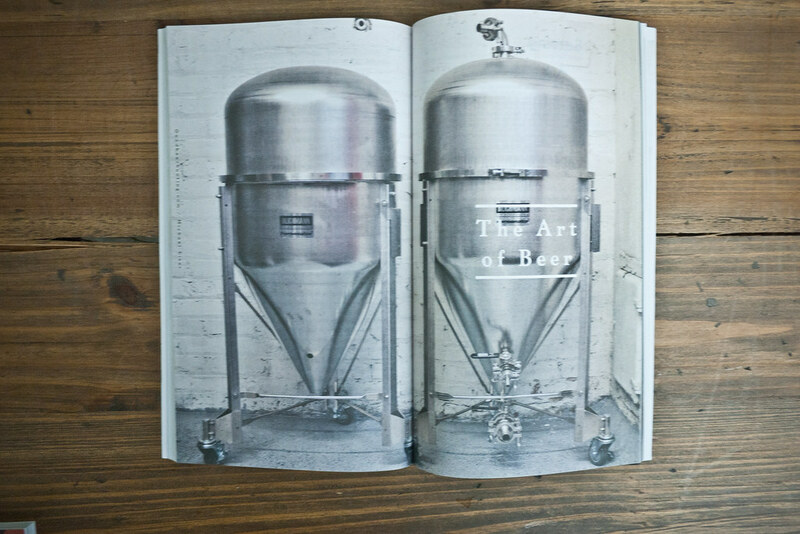 With art and culture magazines like Lumpen and Proximity already making an impact nationally, Mash Tun aims to bring the same level of artfulness, discussion and nerdery to the world of craft beer. 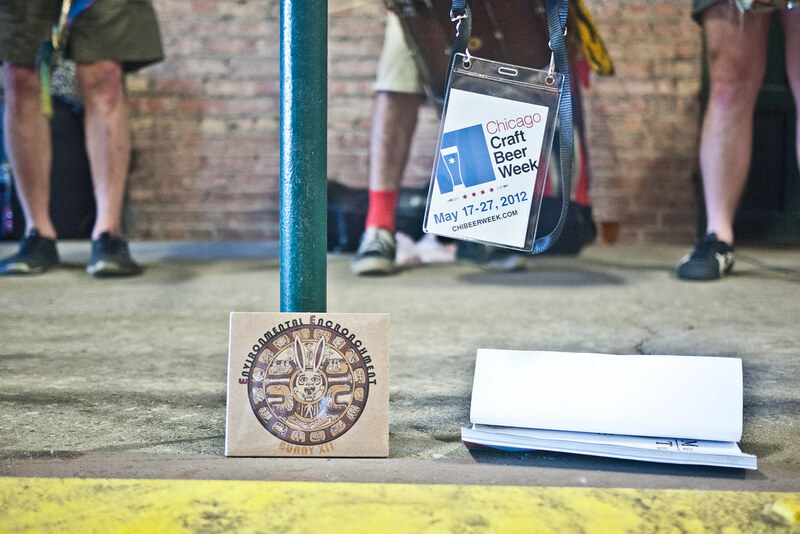 These journals first showed up at a modest table in the south garden of the Beer Under Glass event last week, but their official release was anything but shy. 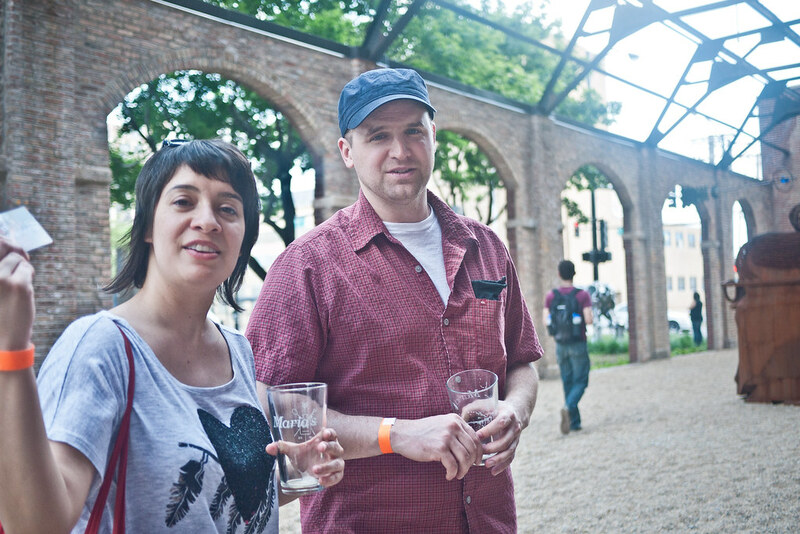 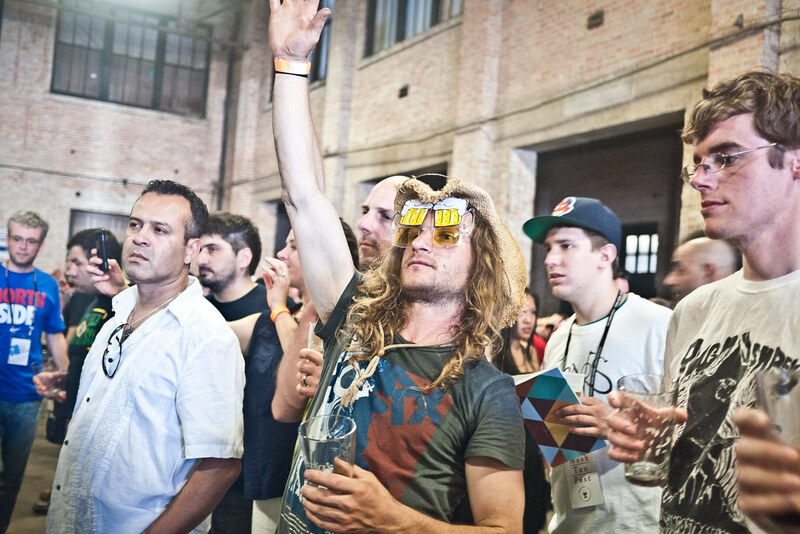 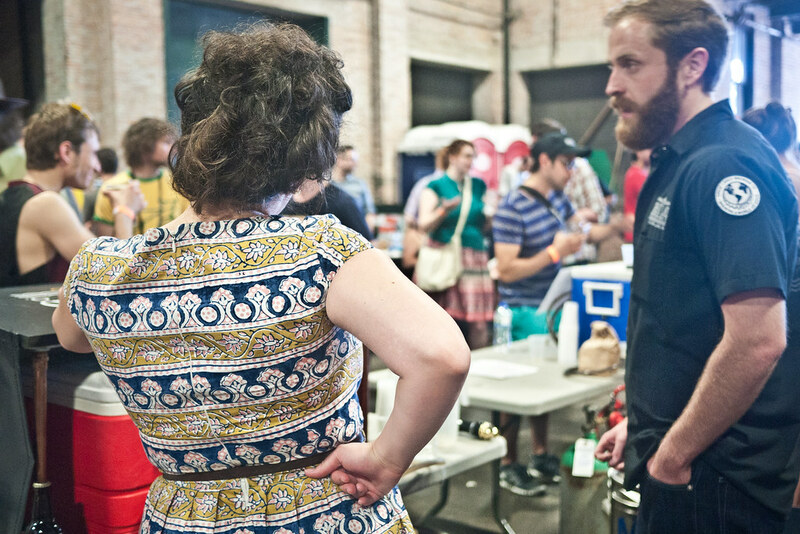 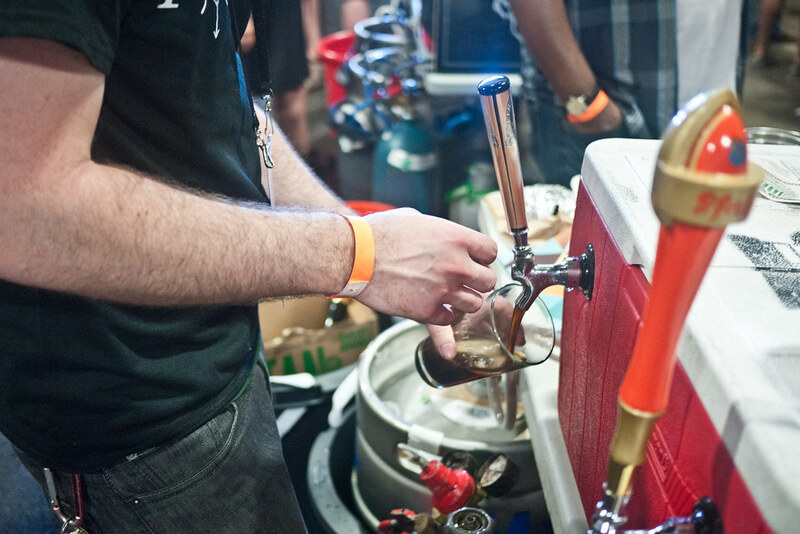 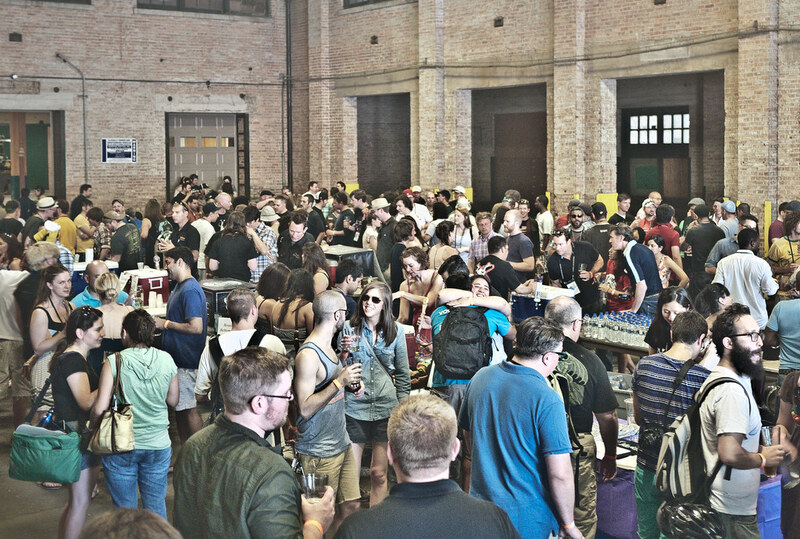 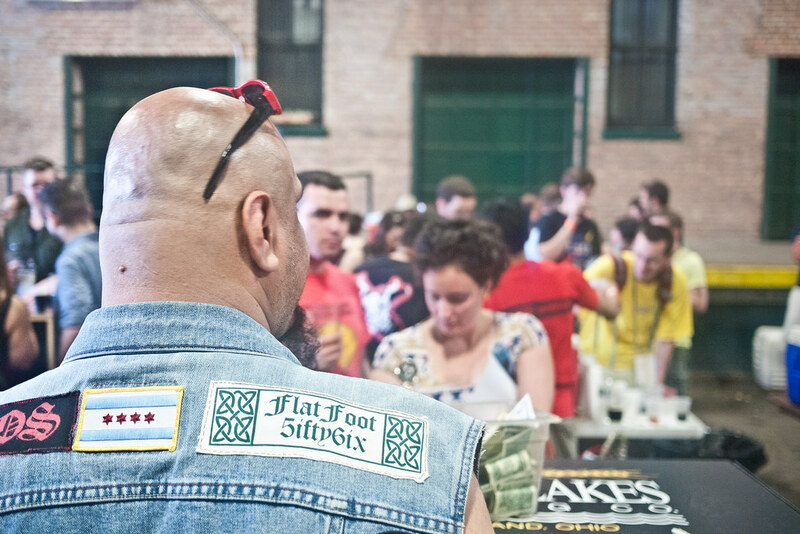 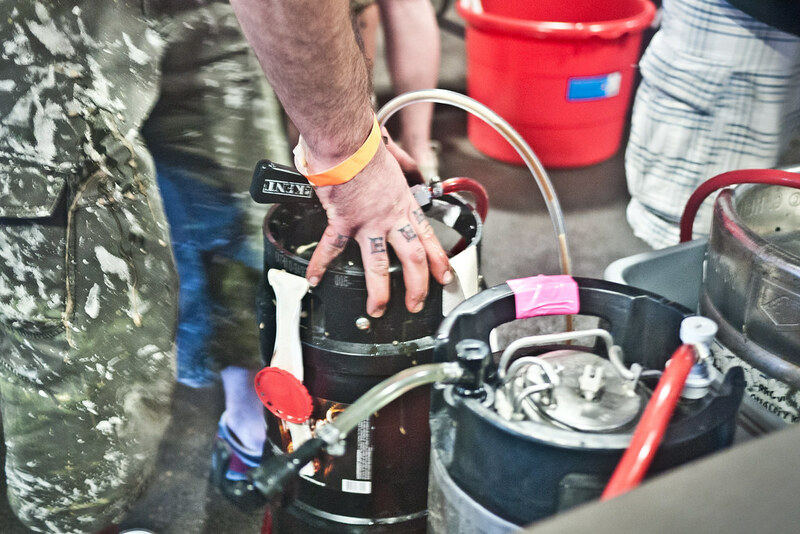 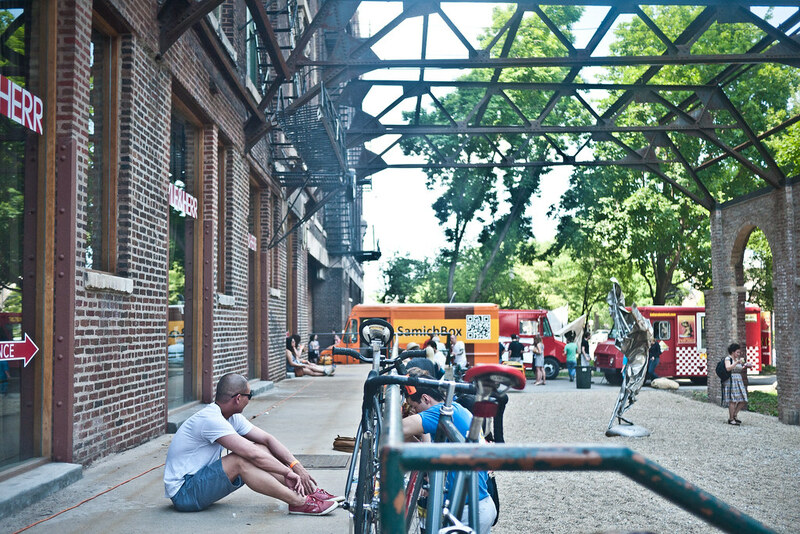 Held at the Bridgeport Art Center in an open-air loading bay spilling onto a sculpture garden, Ed lined up a coupe dozen taps featuring local standouts like Pipeworks and Half Acre, as well as some rare finds from our far away friends at Firestone Walker, Dogfish Head and Stone. 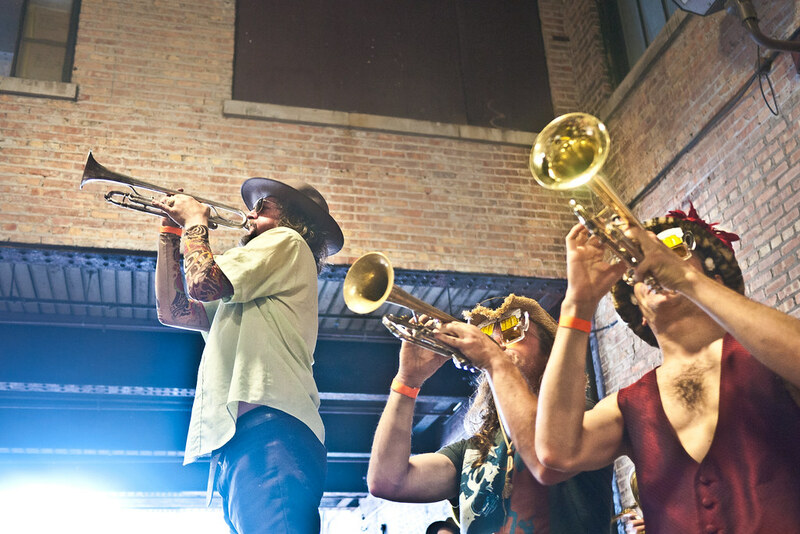 Just as the crowd settled in to their long afternoon buzz, when most festivals experience that hazy lull in excitement before grops get their second wind, Ed did something special — he started a pep rally with local “marching” band Environmental Encroachment. 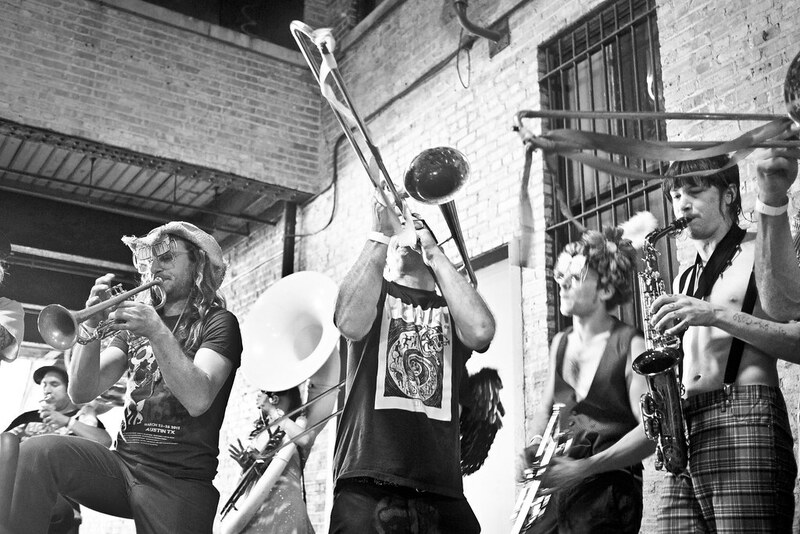 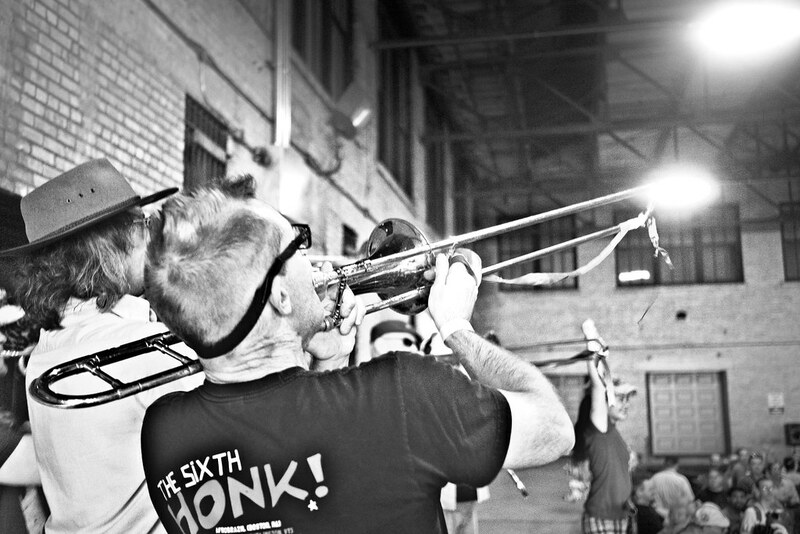 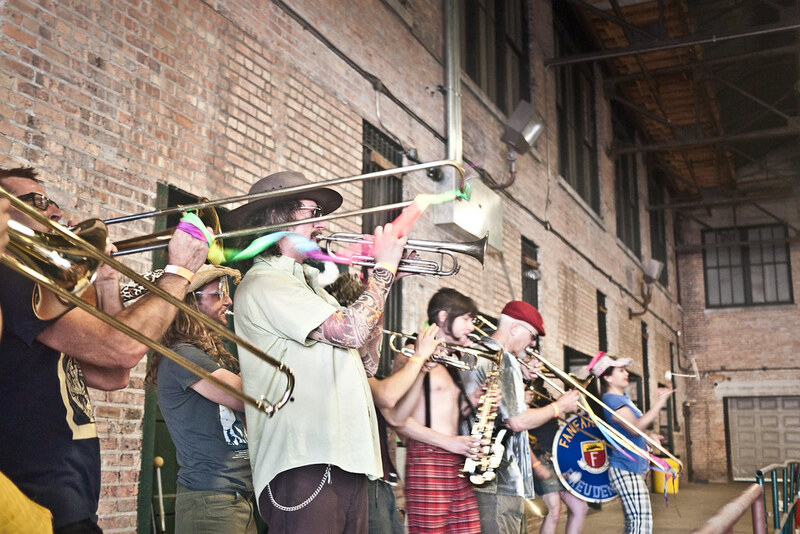 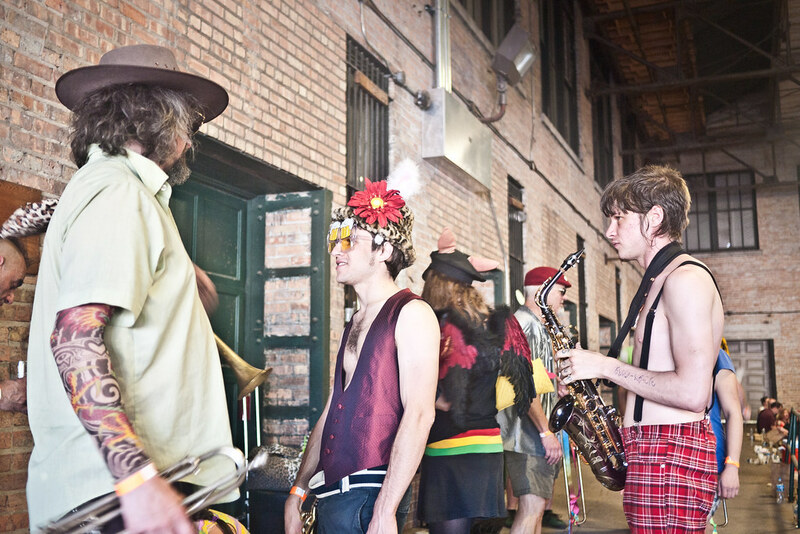 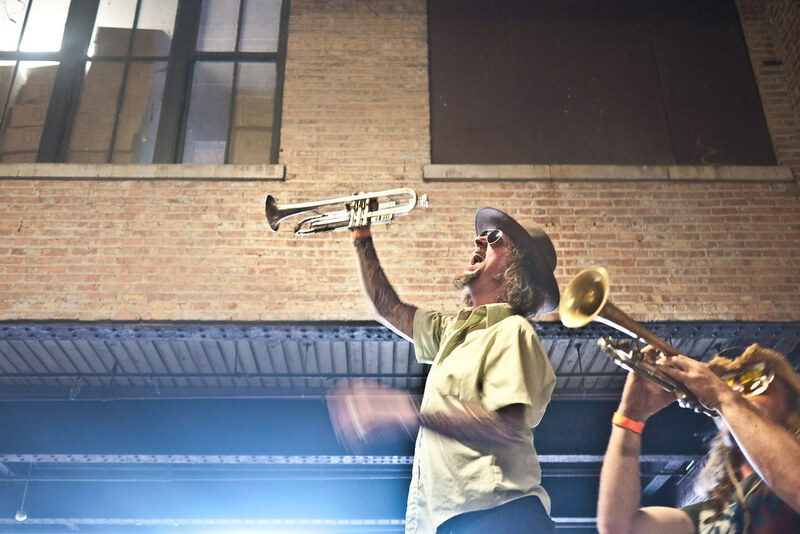 After sneaking in and setting up quietly on the side loading bay, the place exploded with trumpets, tubas and drums in a circus-like atmosphere. 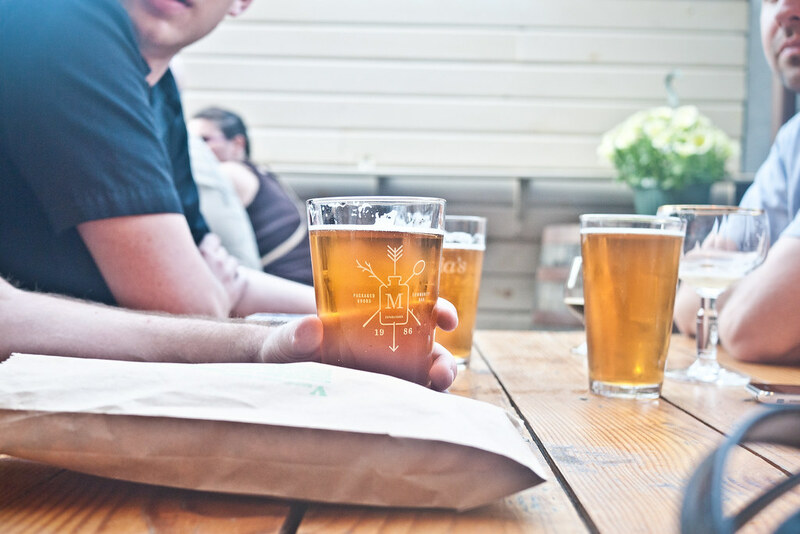 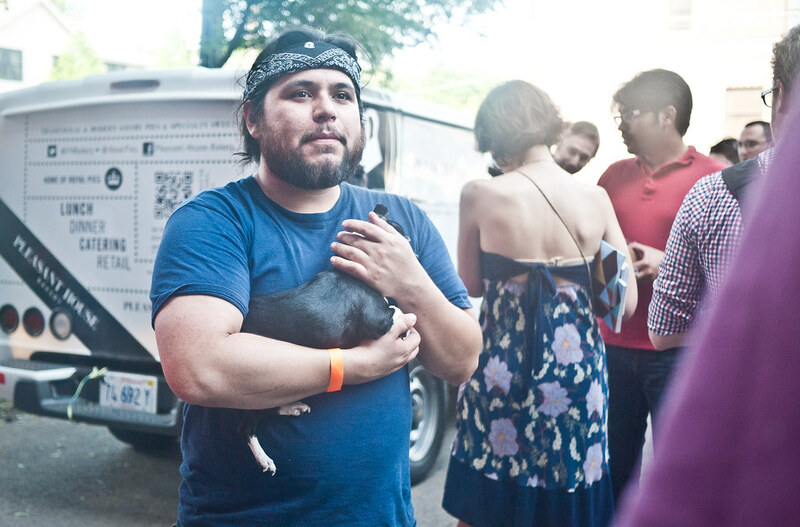 Only a few blocks away, Maria’s Packaged Goods and Community Bar became the haven for after-partiers. 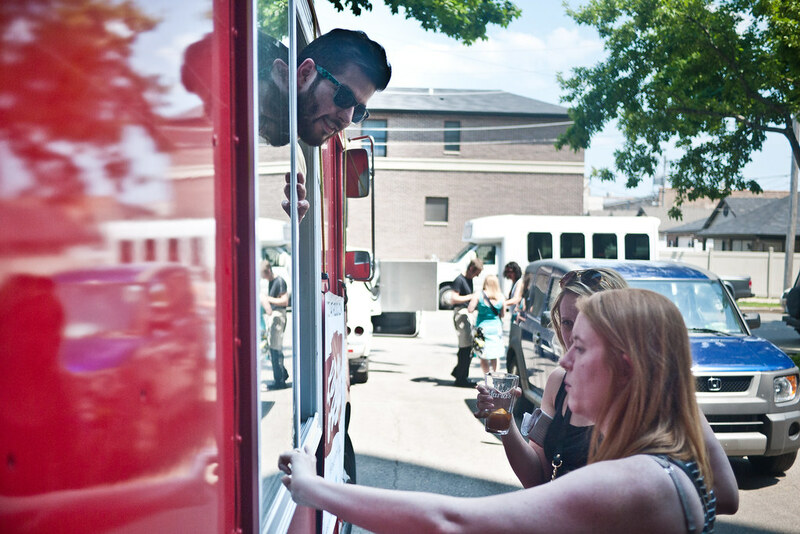 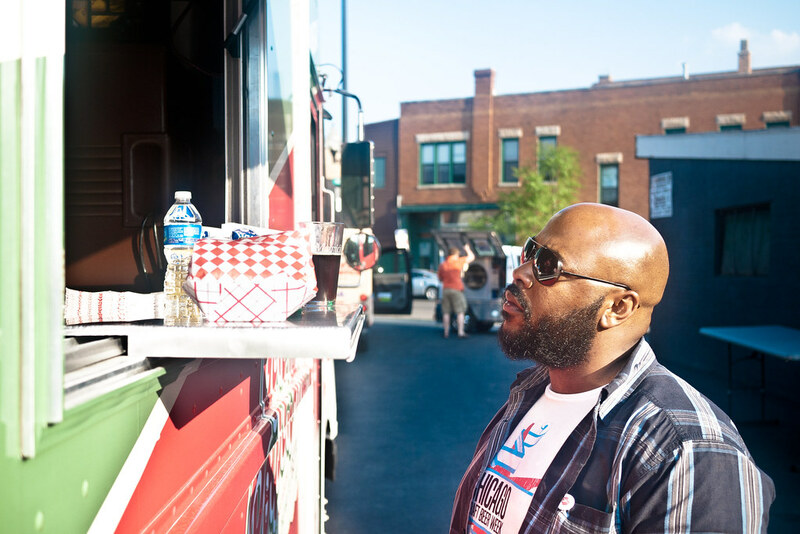 Food trucks lined the parking lot with meatball sandwiches and meat pies, and the festivities continued just inside the fence on Maria’s outdoor patio. 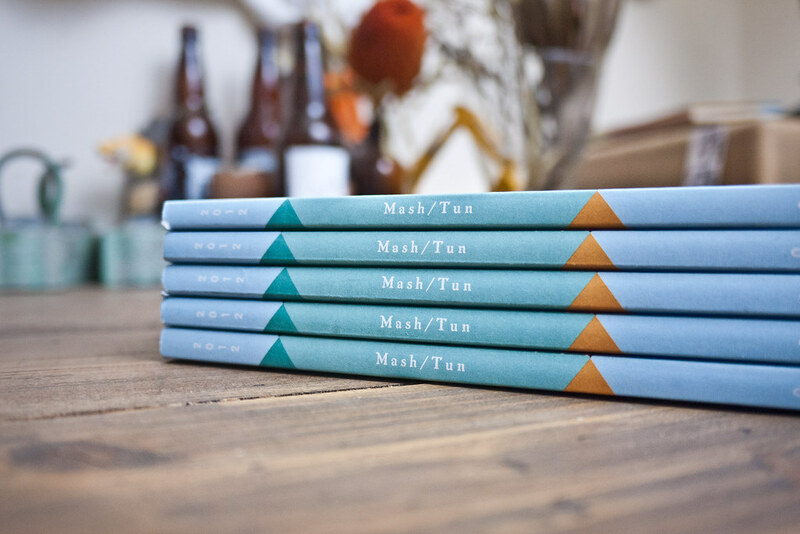 This issue of Mash Tun features tons of photos, interviews and writing, including a history of Chicago’s Lager Riot, some insights from beer hunting in Asia, how to start a brewery from Gabriel Magliaro of Half Acre, local beers you need to find now, a hand-illustrated guide to imperial stouts, and plenty of photography from my own beer hunting adventures. 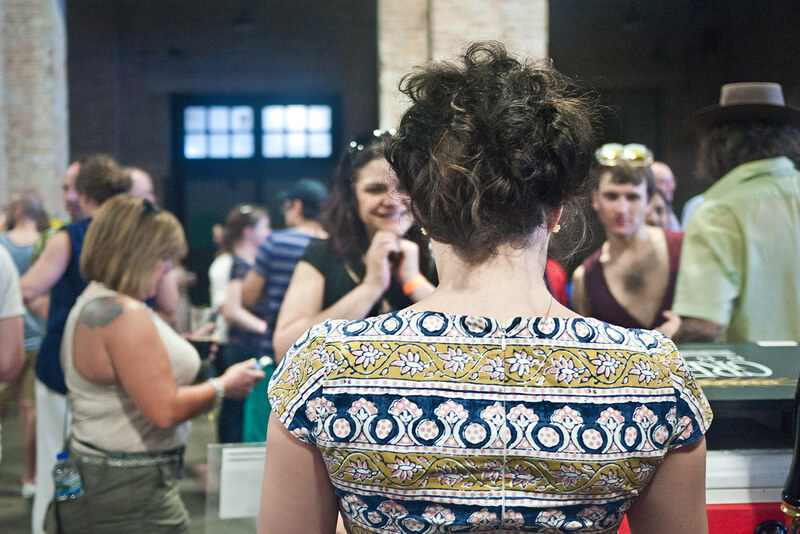 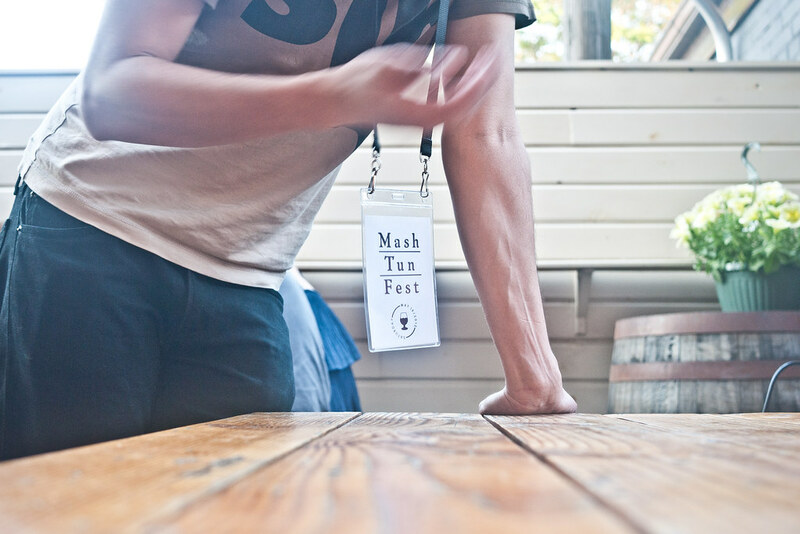 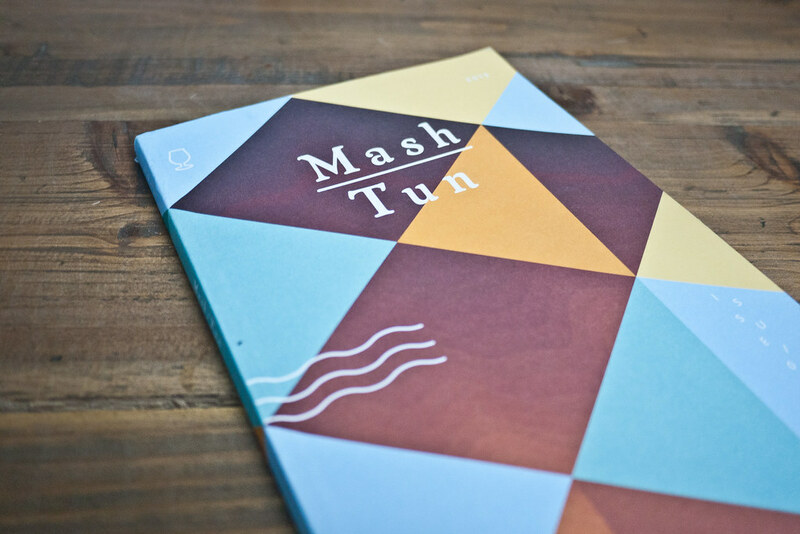 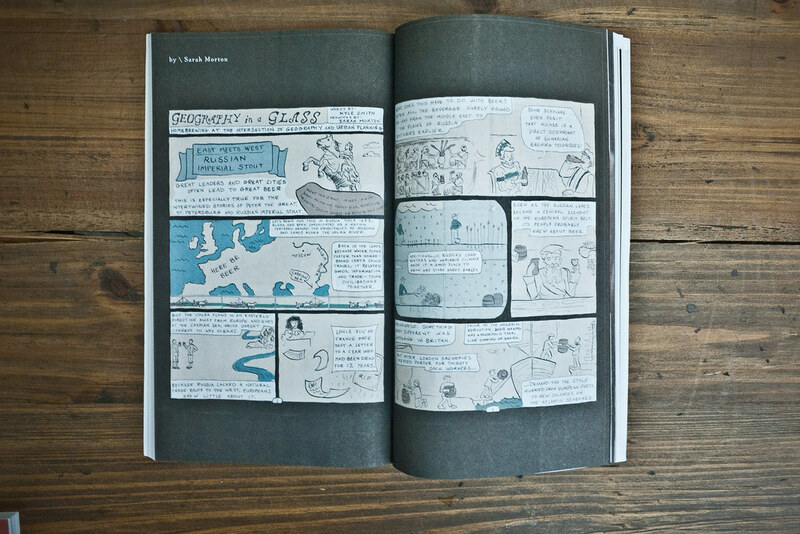 If you didn’t pick up your copy of Mash Tun at an event this week, don’t fret! 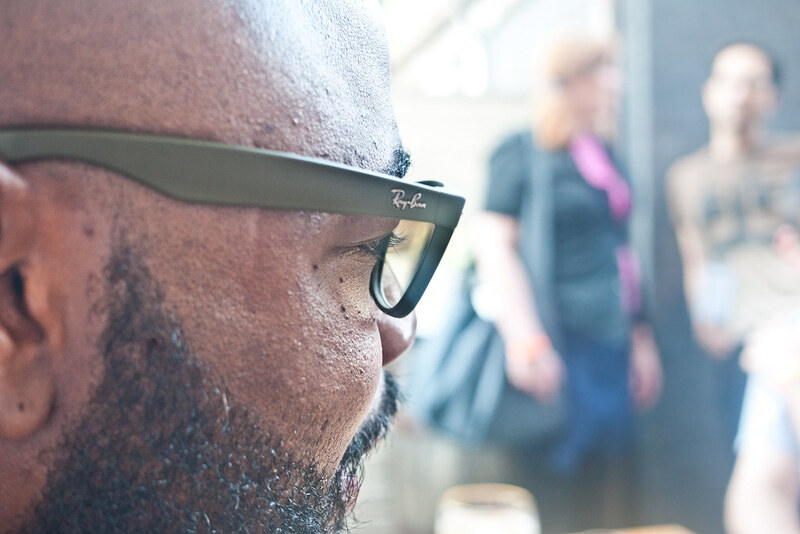 They’re available in the Good Beer Hunting Shop for a limited time. 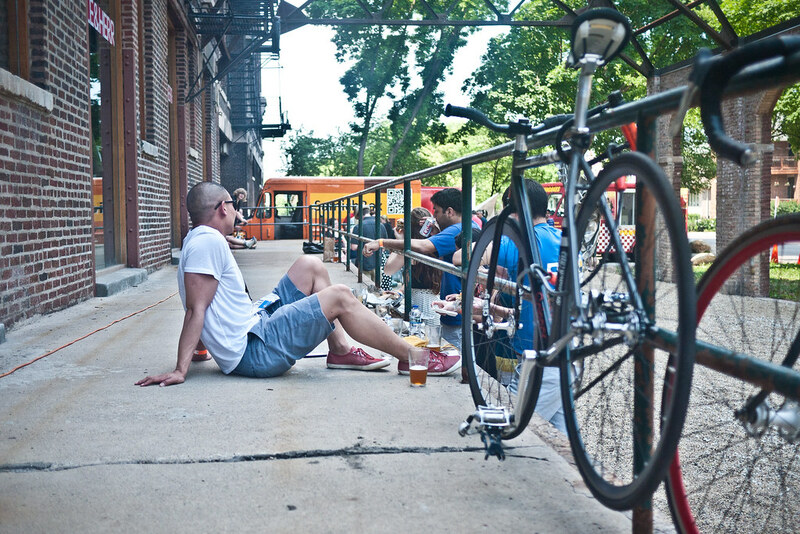 Once they’re gone, they’re gone!